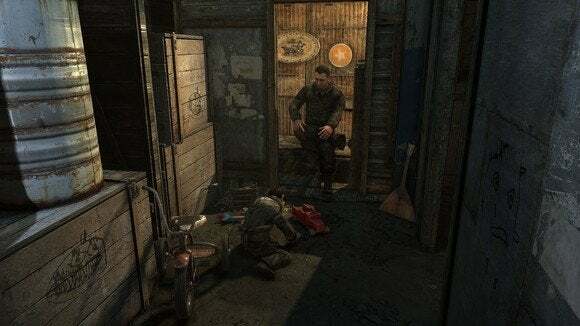 For a few moments when I loaded up Metro 2033 Redux I had one of those "Hm, I don't think anything has really changed" reactions. 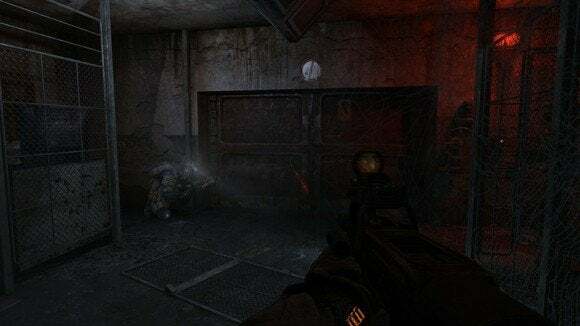 It's been about two years since I last played Metro 2033, and I remembered it looking...well, basically the same as the Redux version looks. Metro 2033 was gorgeous when it came out, so this didn't really surprise me. Then I swapped back to the original Metro 2033. Wow. Graphics have come a surprisingly long way in the last four years. 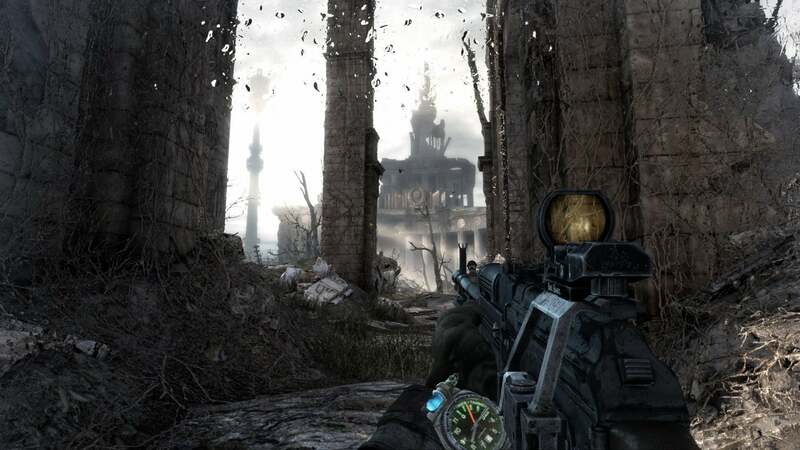 Metro 2033 Redux and Metro: Last Light Redux are the "definitive" or "director's cut" versions of each game. 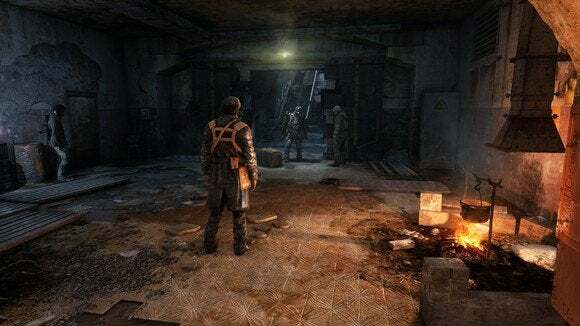 You're receiving a slightly prettier version of each game, complete with all the DLC and some new features—for instance, being able to wipe water/blood off the gas mask in Metro 2033. Surprise! You couldn't do that in 2033, even if your brain is telling you that you could. 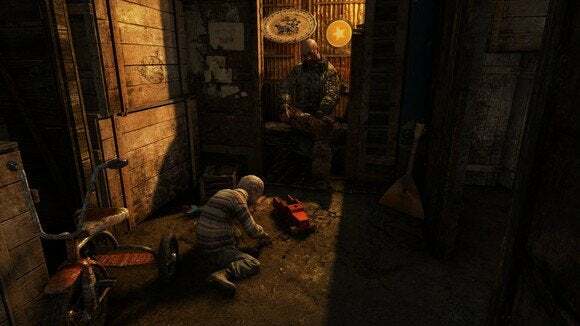 Wiping the gas mask was a new feature for Metro: Last Light, Metro 2033's sequel. I didn't play through the entirety of the Redux versions. 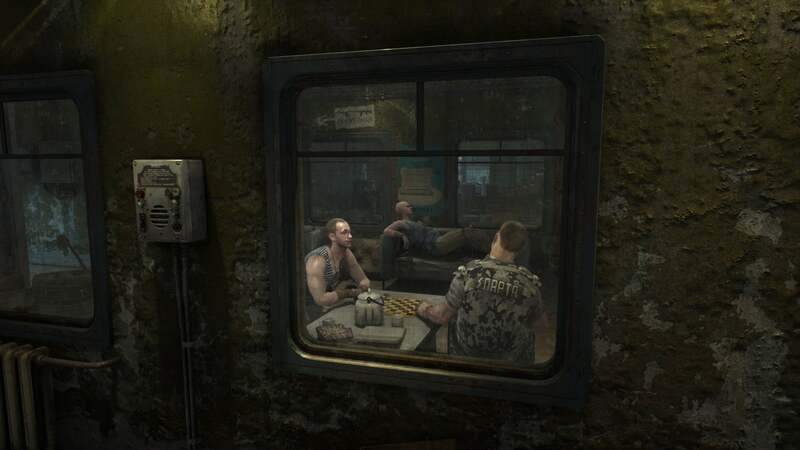 While I love the Metro series, I have little desire to go back and revisit both games in their entirety, back to back. That being said, I played through the first two hours of each game, and then went back and played through the first forty minutes of the originals to make some comparisons. I also made use of the game's new mode selection—you can play each game in "Survival Mode" or "Spartan Mode." 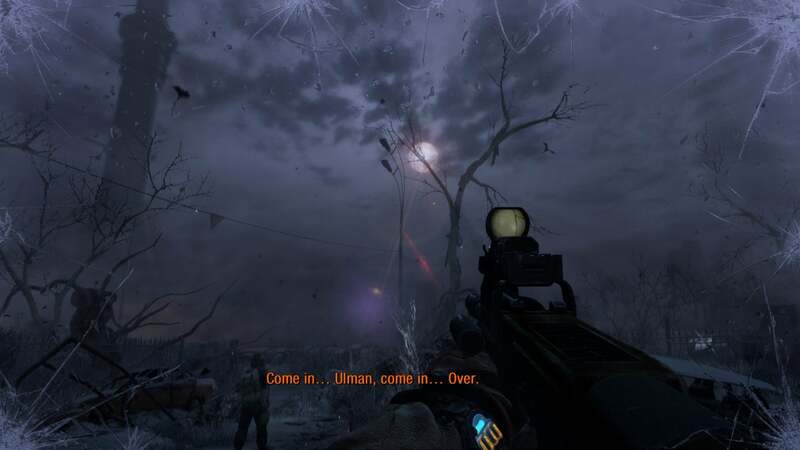 Survival Mode is supposedly more akin to 2033's survival-horror style pacing, while Spartan Mode emulates Last Light's run-n-gun action by making the player more durable and doling out more ammo. 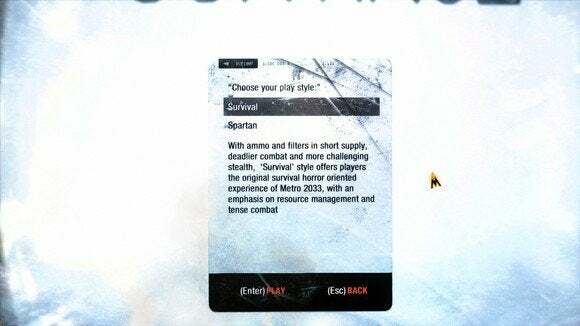 Each game can be played in either mode, so I played 2033 Redux in Spartan Mode and Last Light Redux in Survival Mode just to see what happened. First off: The graphics. 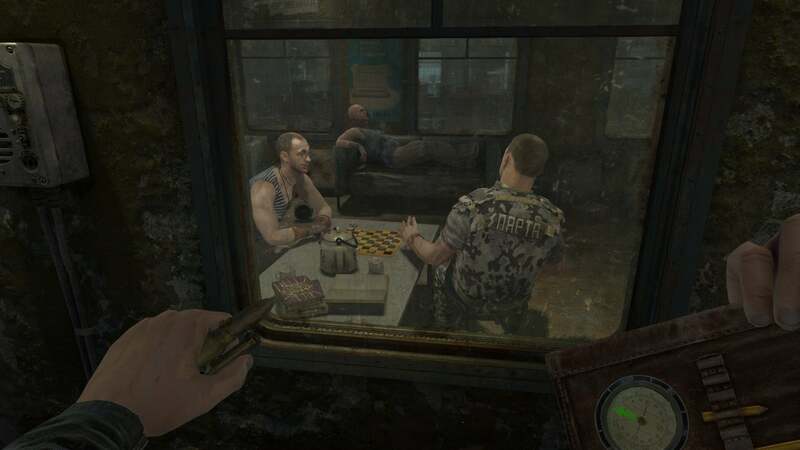 Both games use Last Light's engine, so the difference for Last Light Redux is unnoticeable. I assume the developers touched up a few things here and there, but Last Light's only a year old. 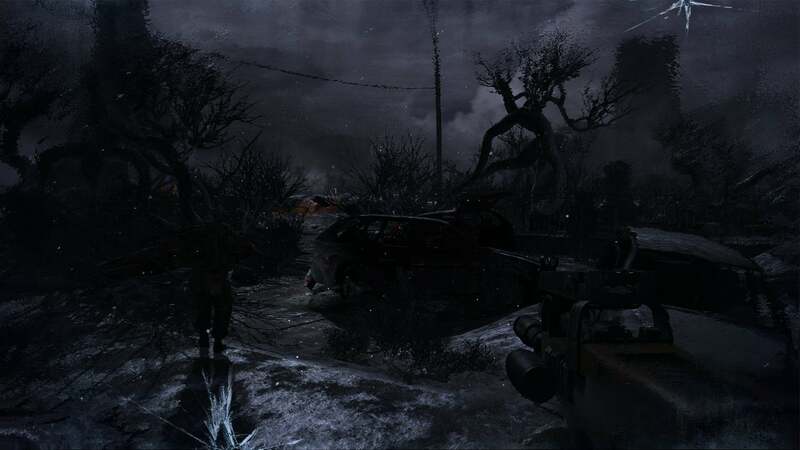 Metro 2033, on the other hand, receives a significant boost. First of all, I rejoiced that 2033 Redux doesn't default to leaving PhysX on. As an AMD user, the original 2033 confused the hell out of me when I first bought it because Nvidia's proprietary PhysX technology was (unbeknownst to me) tanking my system. It's the smallest change possible, but I was excited to see this version rectify the problem. Character models are the most noticeable asset difference by far. Metro 2033's original wooden-faced people are swapped out for Last Light's set, and it's an enormous upgrade. 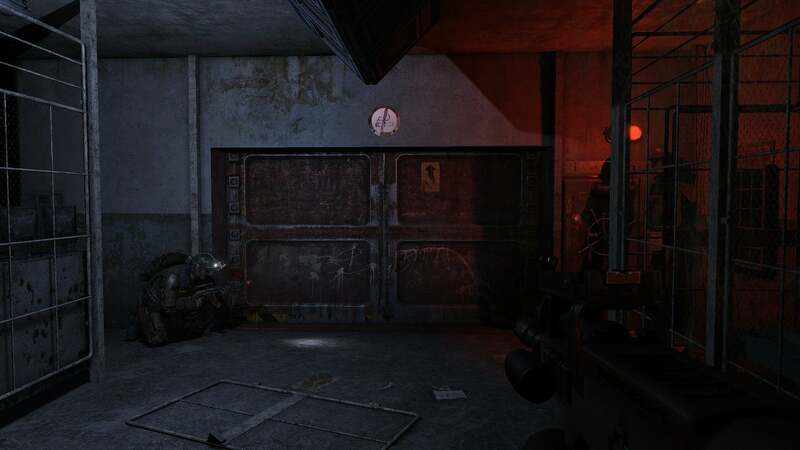 Side-by-side, there's no doubt that 2033 Redux has more dynamic lighting and a greater focus on contrast. By no means does 2033 look bad, but it has an oddly flat, bright look to it in retrospect that doesn't do justice to the dank subway setting. These are key examples I found within the first hour of the game, and they're a noticeable downgrade as far as I'm concerned. As for Spartan and Survival Mode, the gas mask wipe, and the rest of the feature changes in 2033 and Last Light Redux, some are great and some are middling, but nothing felt objectively worse than the original versions. I'm not sure Survival Mode really makes sense. Spartan Mode in 2033 is totally fine—you're given more ammo, (presumably) more health, and it generally makes the game a bit easier. I don't know many 2033 diehards (like myself) who will ever want to play 2033 Redux in Spartan Mode, but fans of Last Light who found 2033 punishingly difficult will appreciate the change I'm sure. But Last Light in Survival Mode is just kind of clunky. The game was designed as a run-and-gun shooter, and just because you give me less ammo doesn't make it any less of a Michael Bay-esque affair. 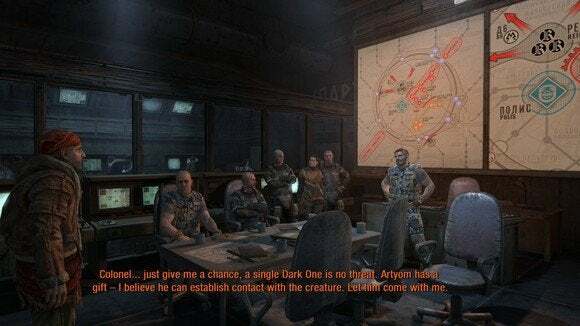 The complaints about Last Light were, as far as I'm aware, that it took the bleak and oppressive, under-staffed and under-equipped world of 2033 and turned it into a fast-paced, superhuman shooter. 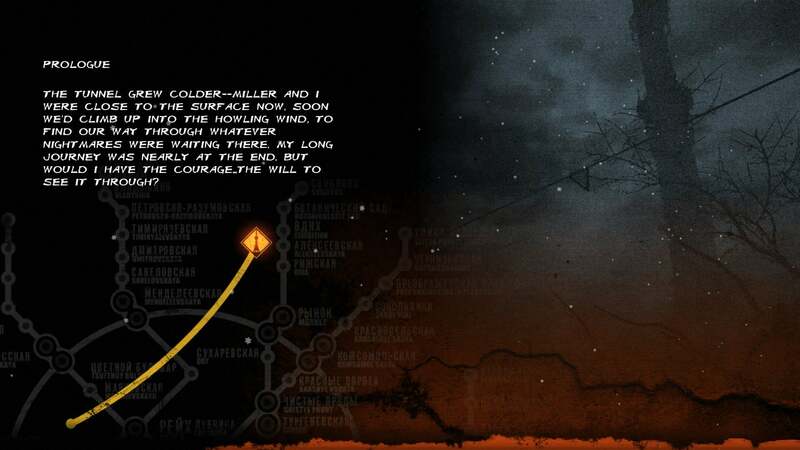 In other words, the Dead Space to Dead Space 2 predicament. None of that is fixed by giving me less ammo and making enemies more aware. The game is still paced like a crazy thrill ride, regardless of how many bullets I have, and nothing has been done to make Last Light's tone match 2033 more. Don't get me wrong—I still enjoyed Last Light. It's a very different game from 2033, though, and not in a way that can be solved by Survival Mode. You'd need a complete overhaul of every level and a fundamental redesign of the game, neither of which was attempted here (for good reason). As promised, 2033's levels get reworked a bit too. There are a few new encounters, though you'd be hard-pressed to point out which ones unless you've played 2033 very recently. A few of the inter-level loads have also been removed, which is great. Metro 2033 Redux even gets swanky new load screens. We could also talk load screens. 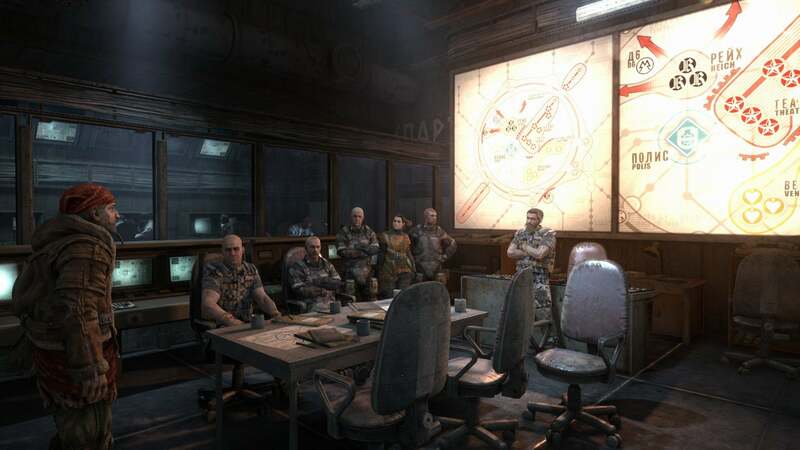 There are new graphics on 2033's load screens to match Last Light's aesthetic, and the load music has been swapped out. In fact, I'm pretty sure music has been swapped out even in-game. I can't be certain, which is testament I guess to the quality of this Redux version. However, some of the music seemed more bombastic than I remembered. In my memory, 2033's music was very understated. 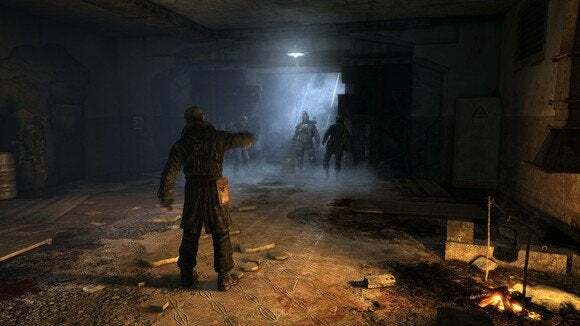 If you've never played Metro 2033 and Last Light, you're missing out on a fantastic series—probably one of my top five shooter experiences of last generation. The games are excellent at world-building, and where many games toss around the word "immersive" I think Metro is one of the few that can actually lay claim to that term. The Redux versions would be a great place to jump in if you missed these the first time around. 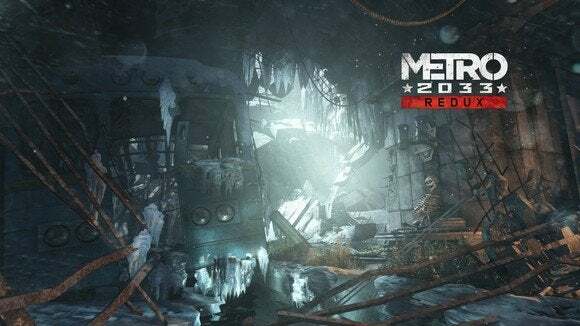 Metro 2033 Redux in Spartan Mode is great if you loved Last Light and never could get into the original—it's like an additional easier difficulty, meant for fans of shooters instead of stealth games. For people who've already played and enjoyed both games, the Redux versions are a weirder sell. I personally think the Redux version of 2033 looks better (despite some missing particle effects), but I know some purists might not. You can't please everyone, but I'd say 2033 Redux is a great buy if you really love the original and want to replay a tuned-up version. Got that? Newcomers, jump on in. People who haven't played 2033 but enjoyed Last Light, come on down. People who own both already, use your best judgment.